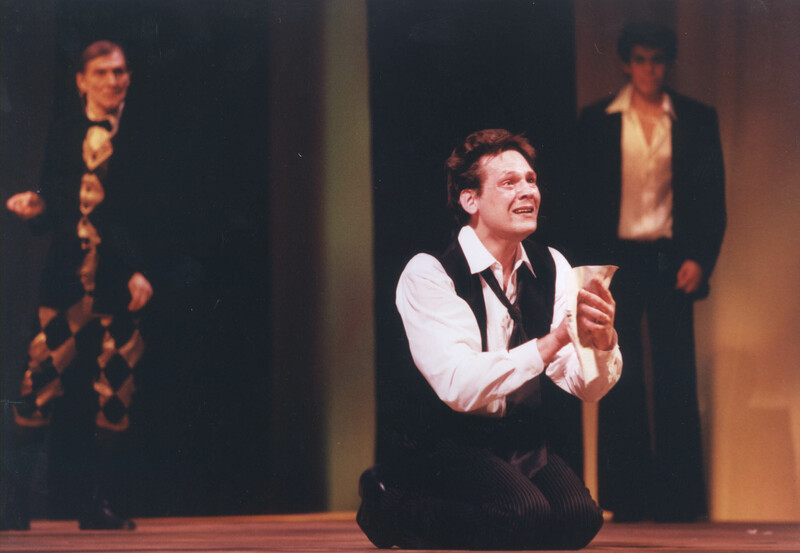 Shakespeare is obsessed with human love. 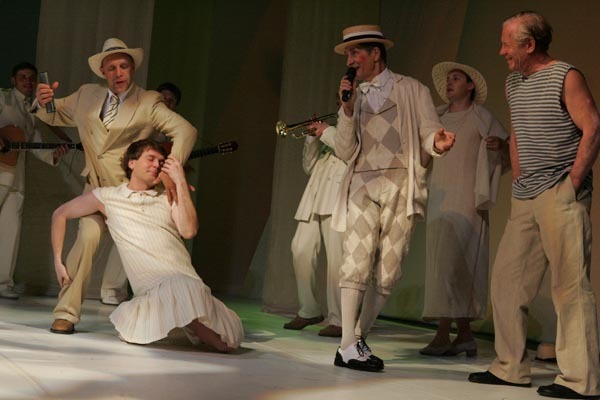 Twelfth Night is a play about love and identity, about difficulties of love, about how our identity dissolves in love, about love verging on madness and fear and spiritual revelations. 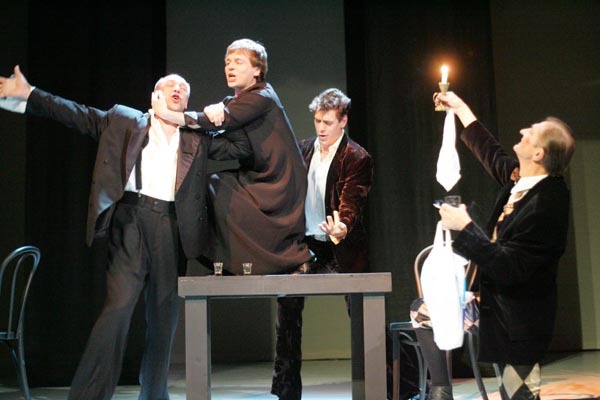 The love Shakespeare shares with us in the play is as cruel as hope itself. 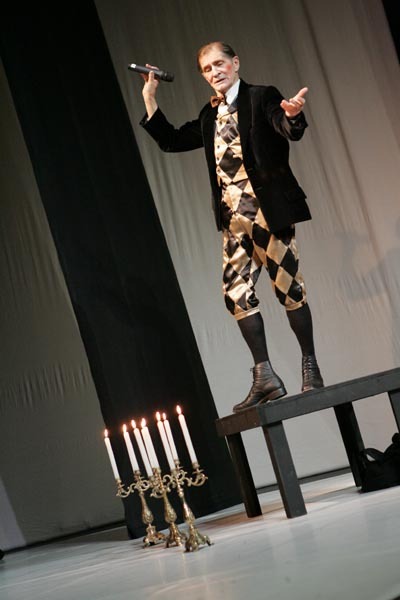 It makes us think of the delusions of passion, of the eternal “magical mirror” of appearances and reality. 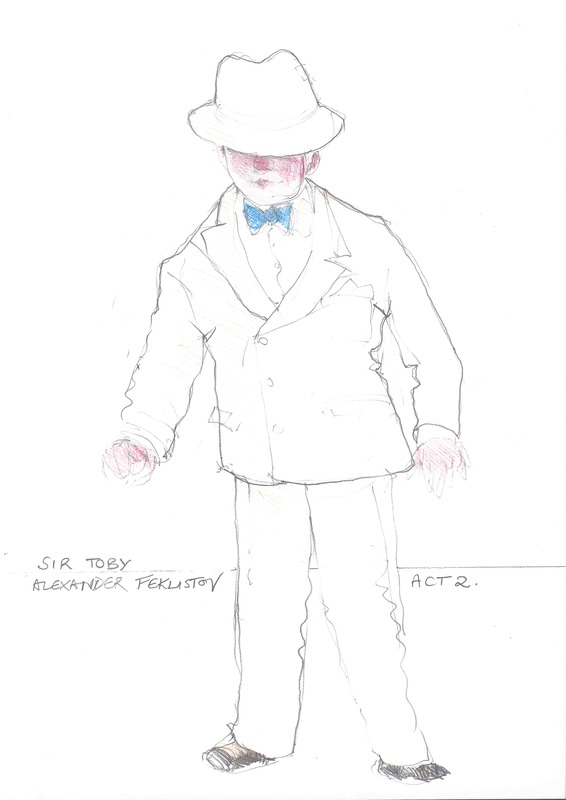 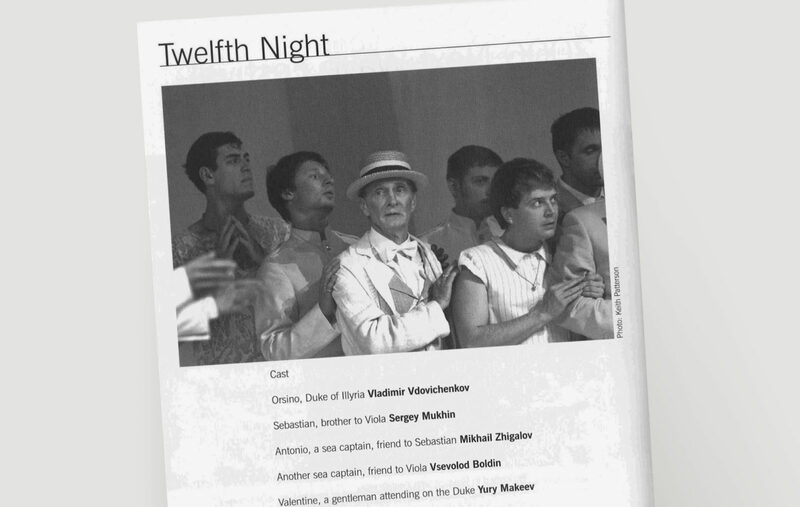 The striking detail is that Viola in Twelfth Night has a line identical to one of Iago’s – “I am not what I am”. 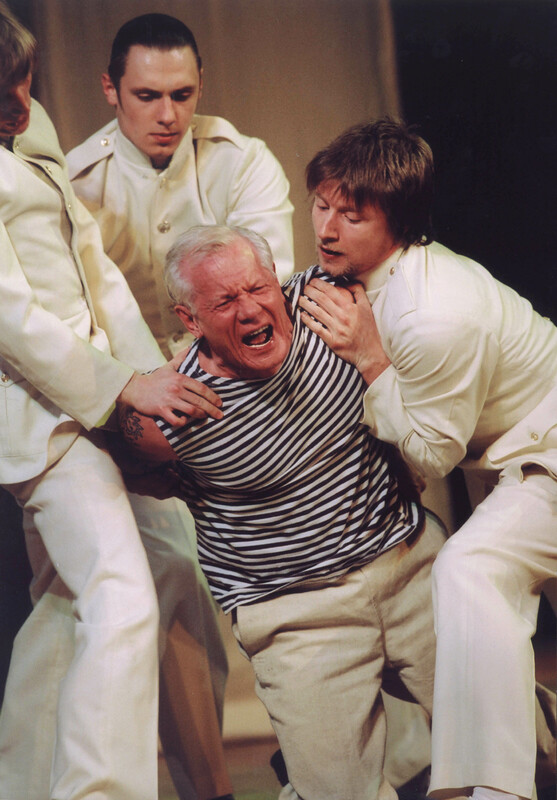 Very often Shakespeare writes about ordinary people in extraordinary situations. 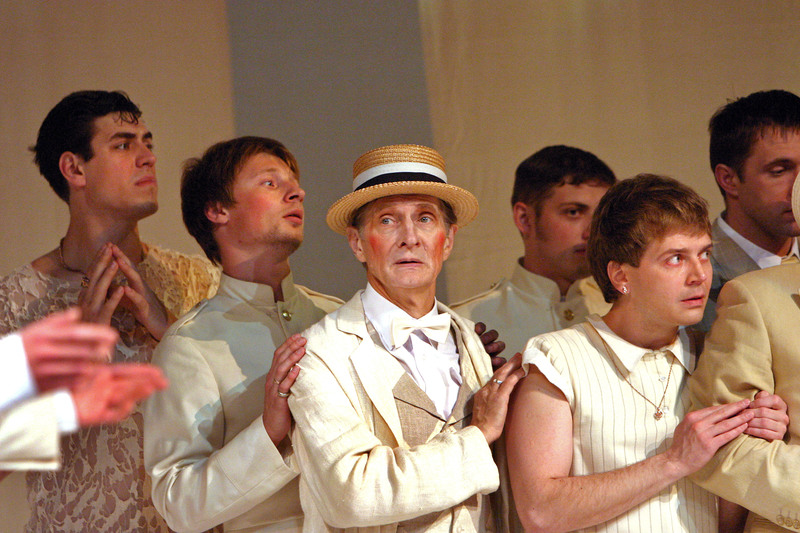 We come to the theatre to see Shakespeare’s characters fall in love, suffer from love, grant and reject love. 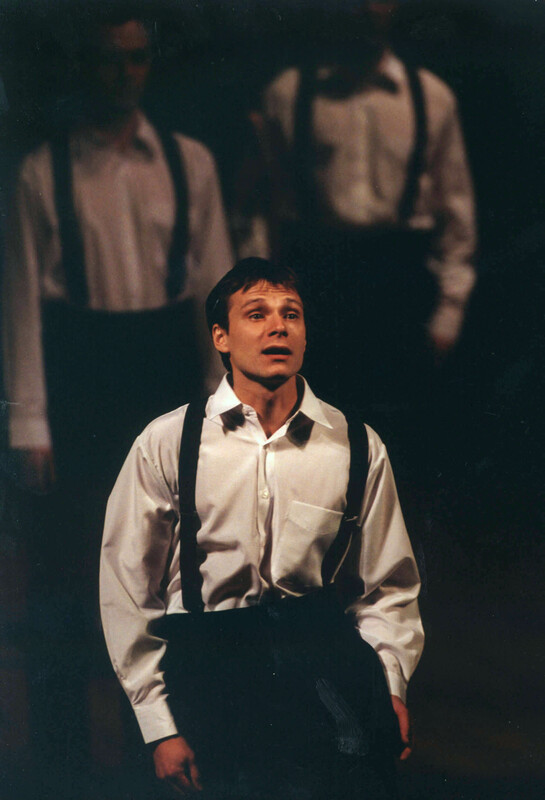 We come to see the kind of love we fear, the love we all dream about, the love we need, the love we avoid, the love that is perhaps our only reality. 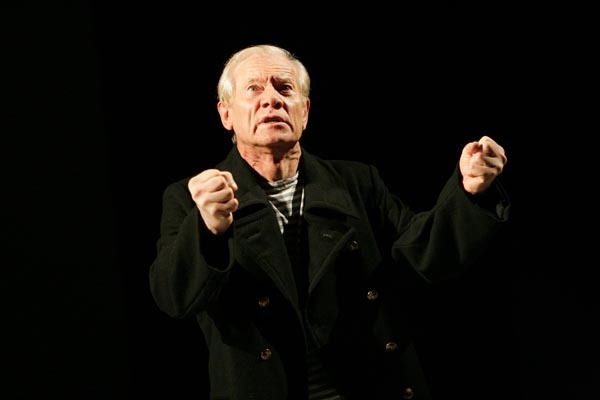 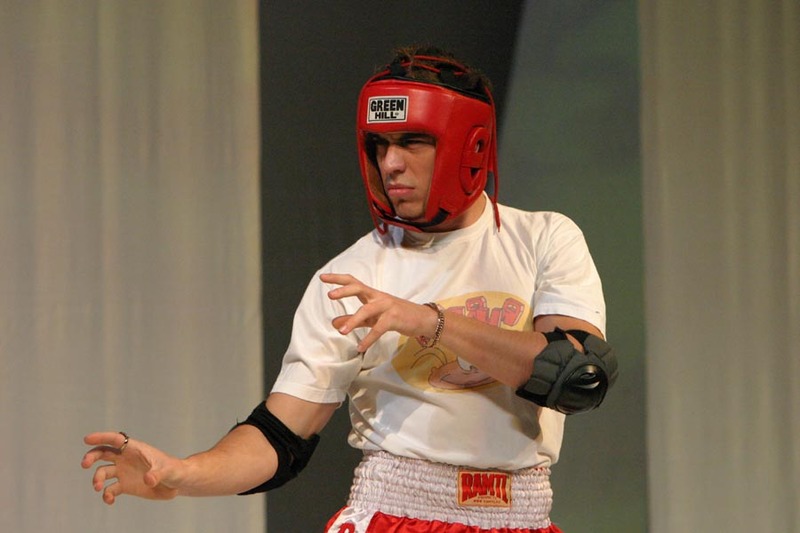 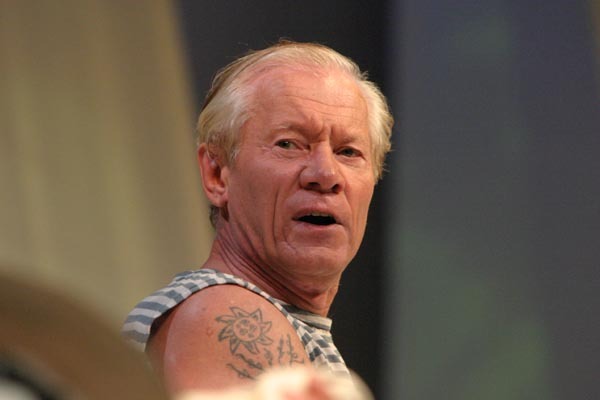 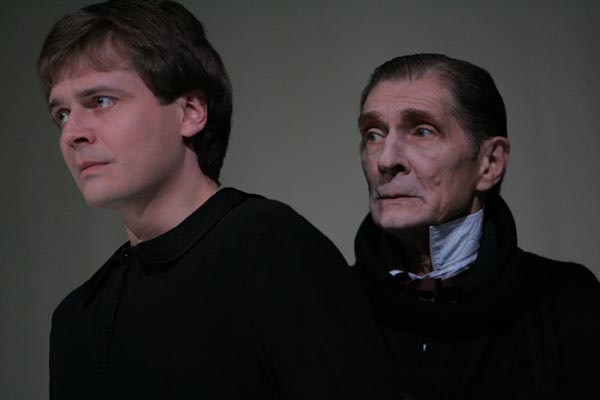 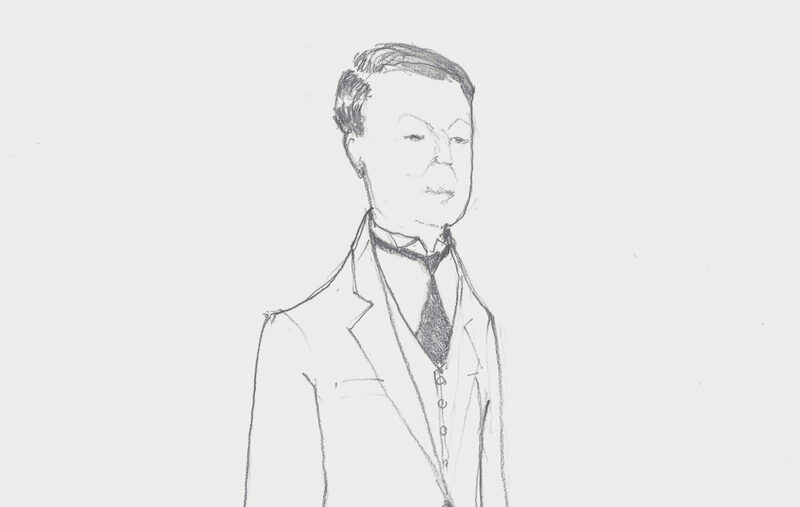 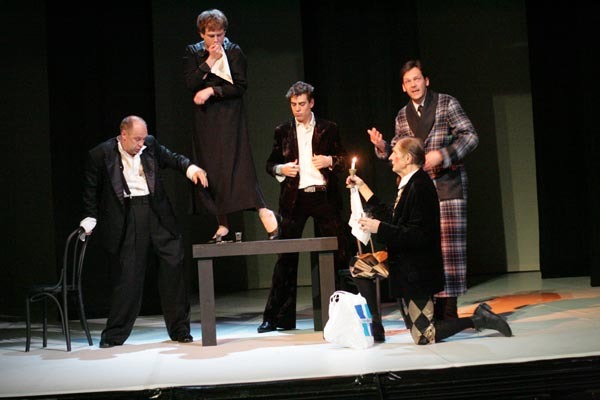 Produced by Cheek by Jowl in cooperation with the Chekhov International Theatre Festival. 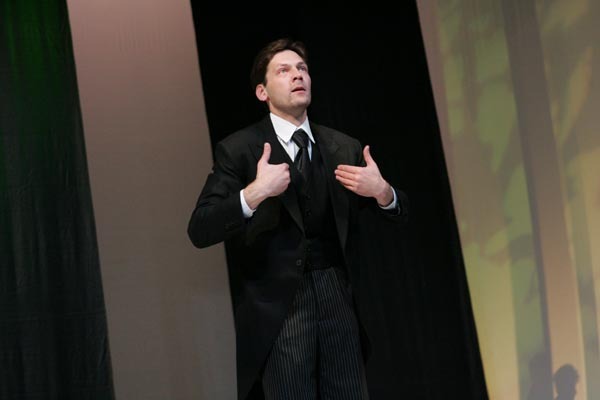 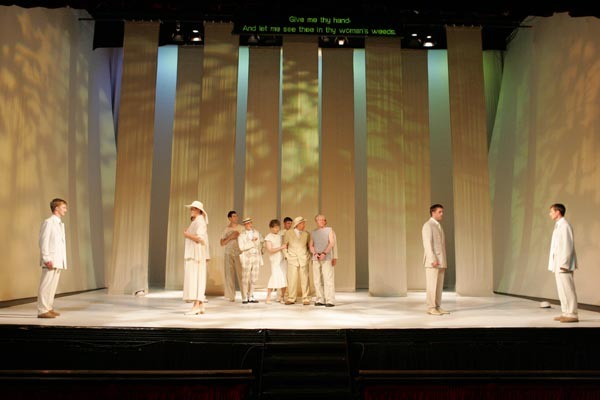 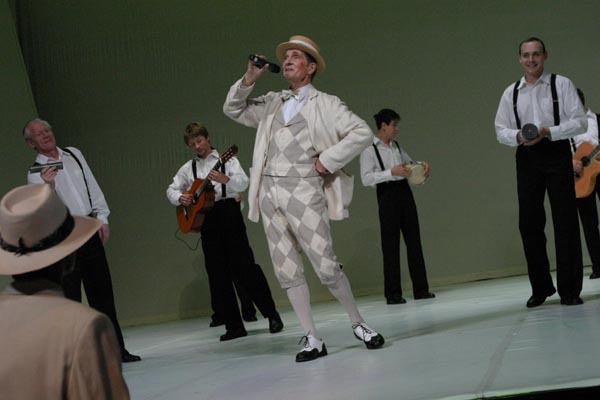 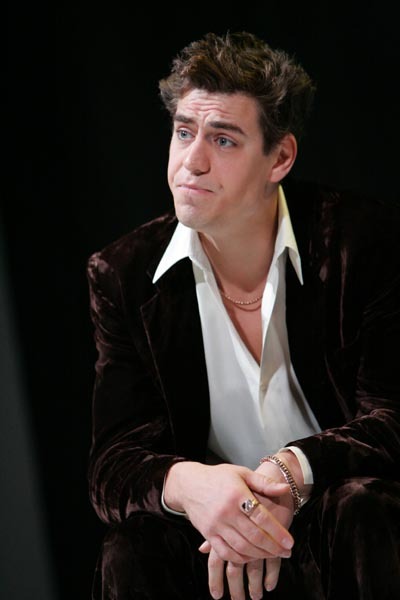 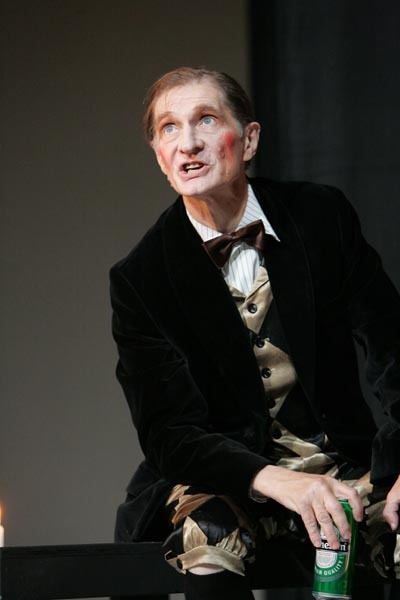 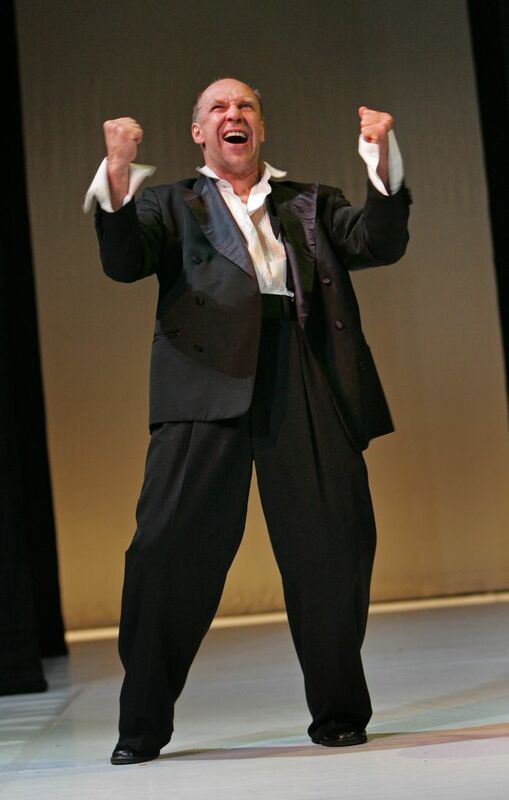 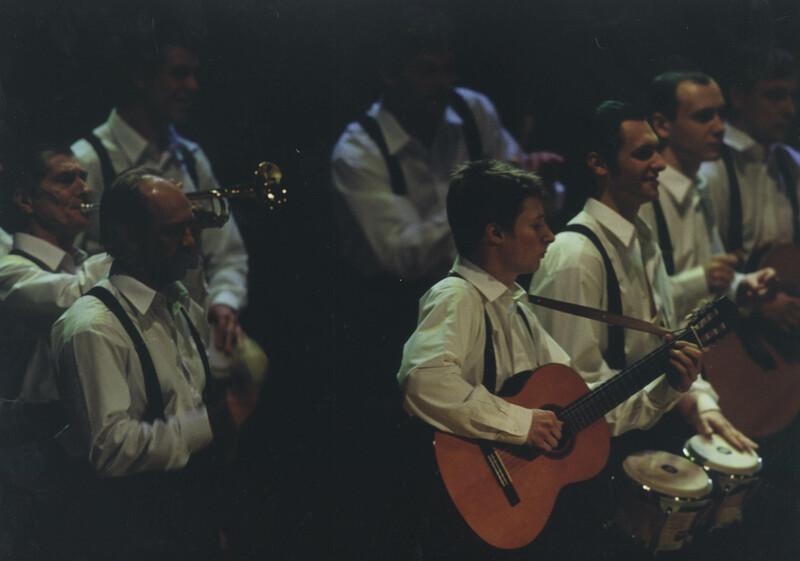 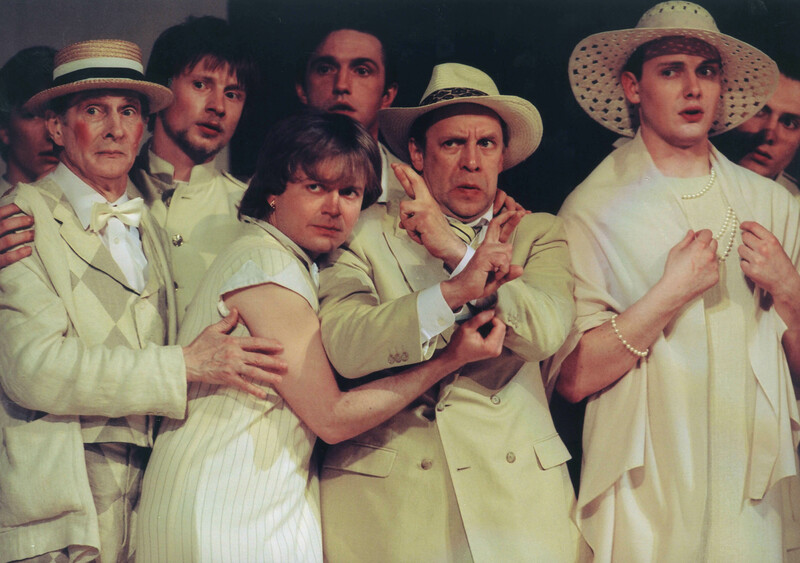 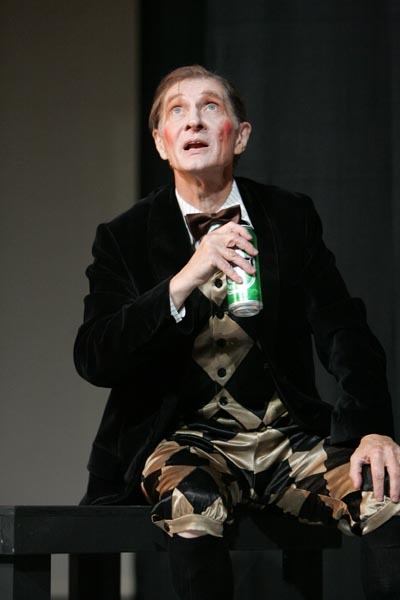 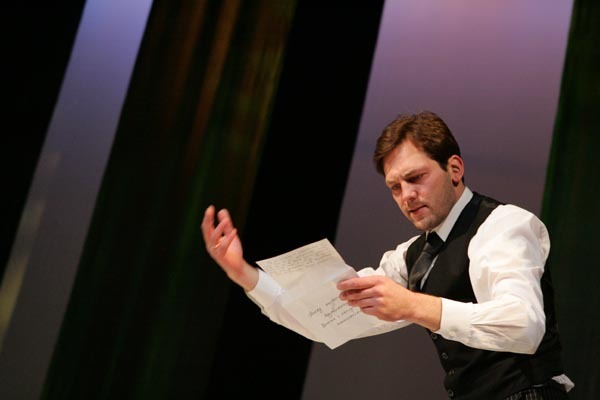 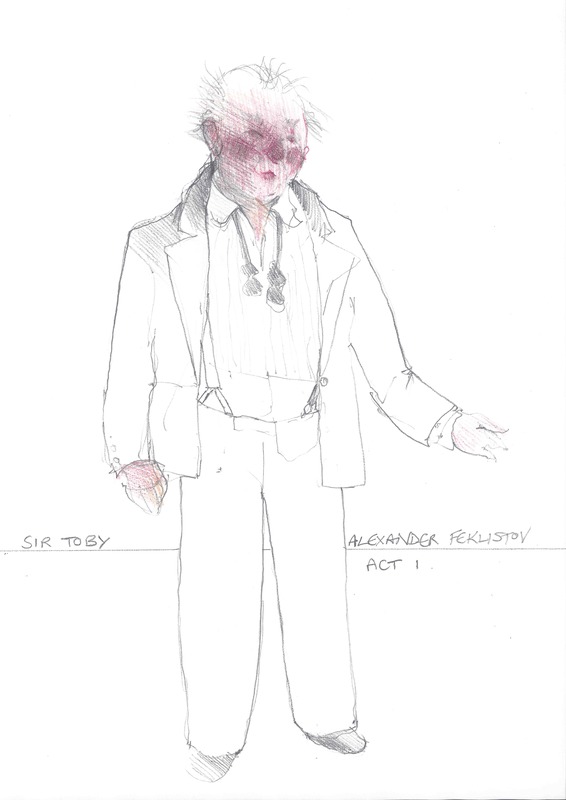 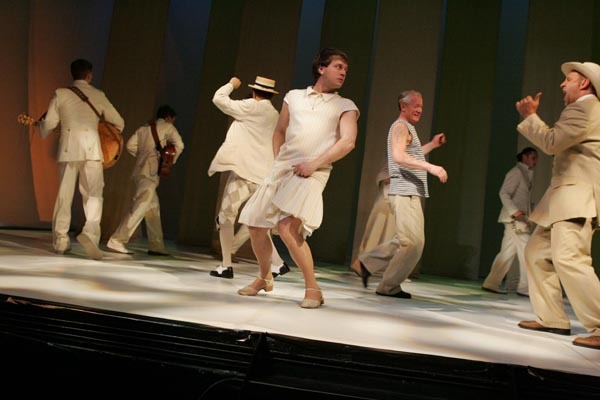 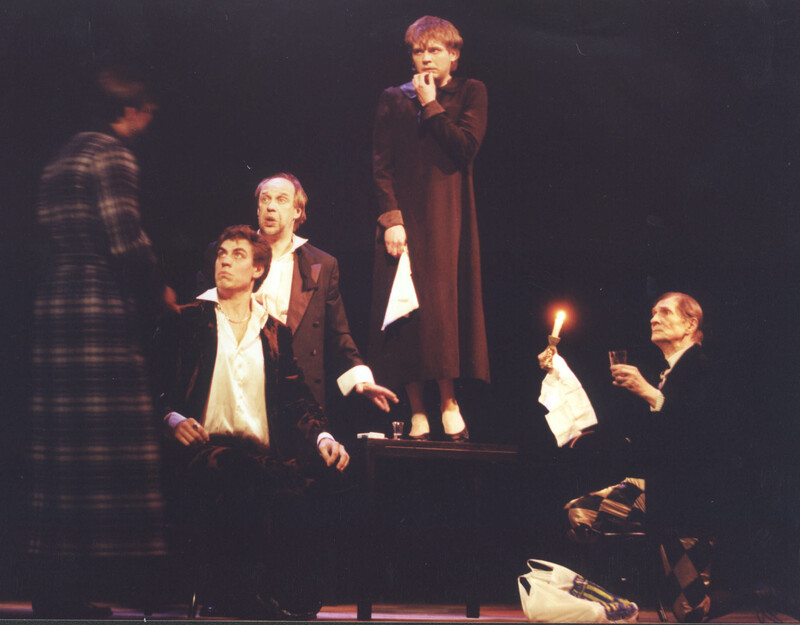 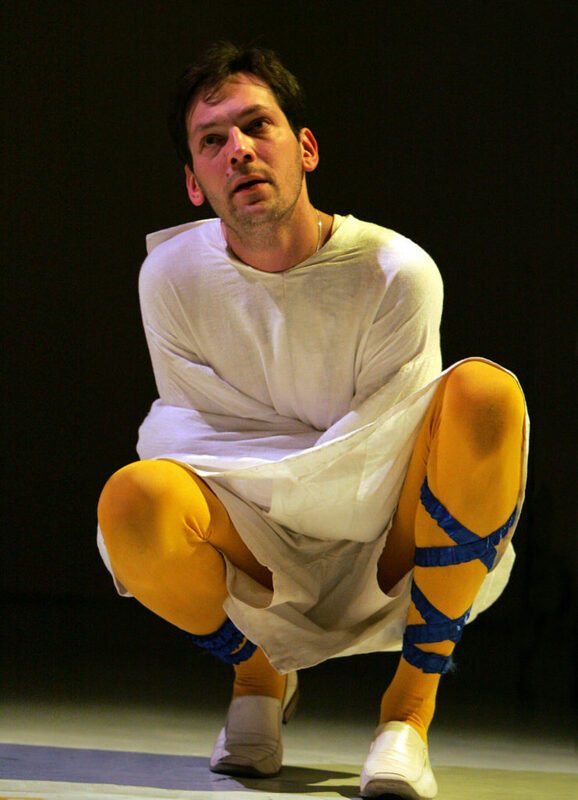 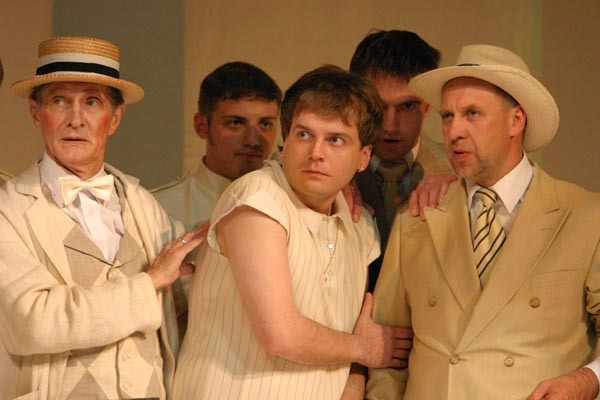 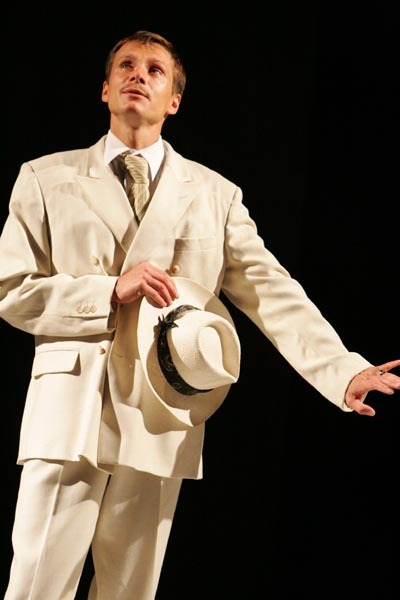 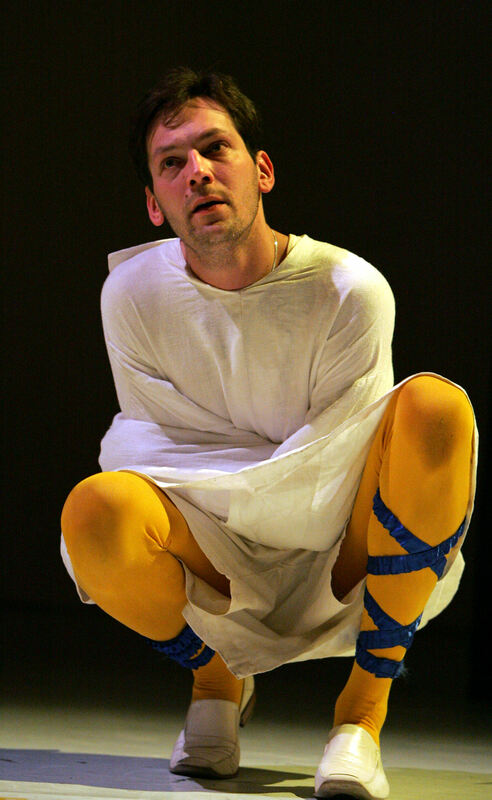 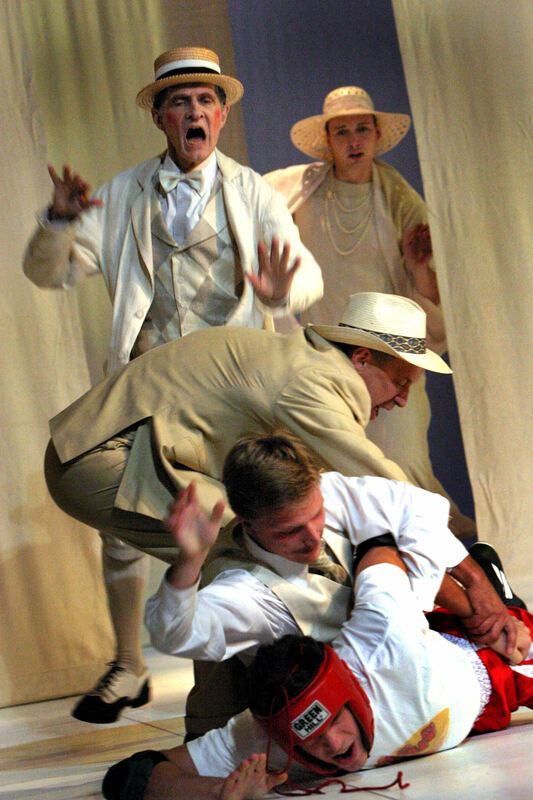 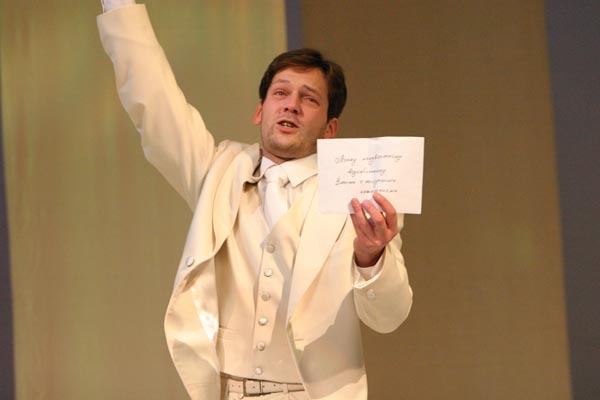 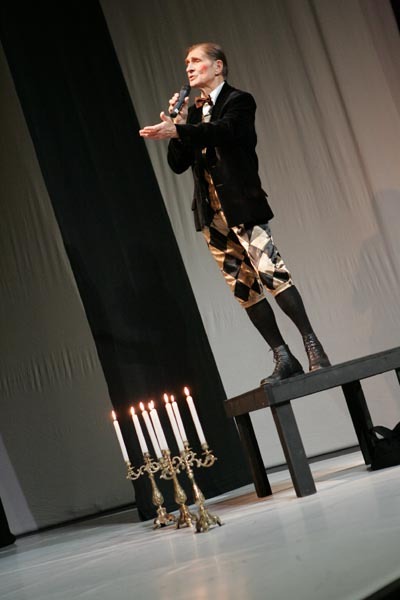 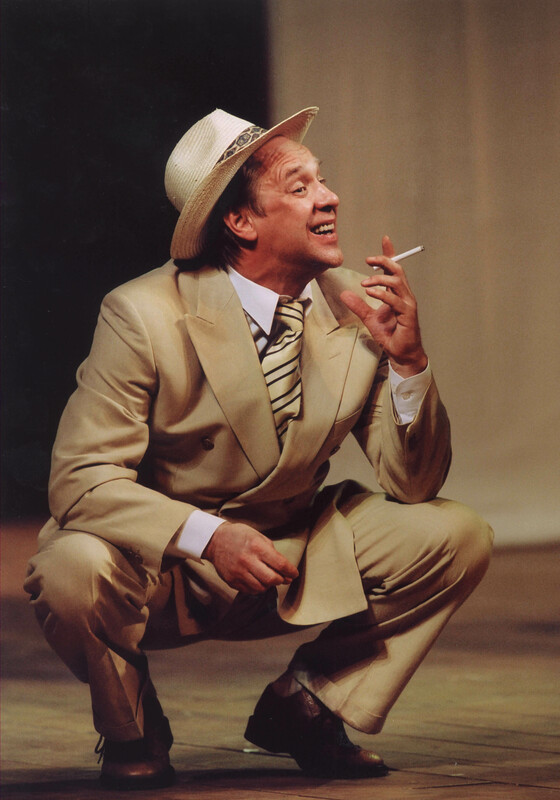 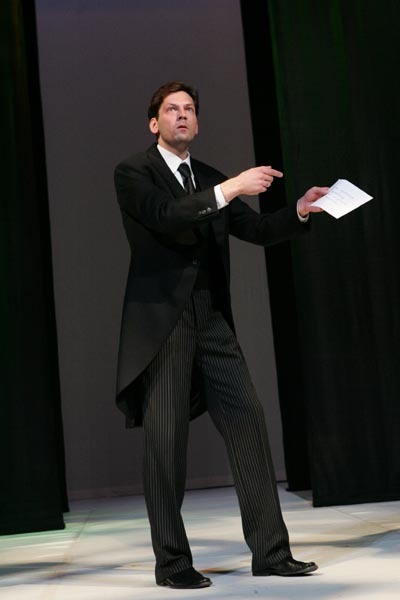 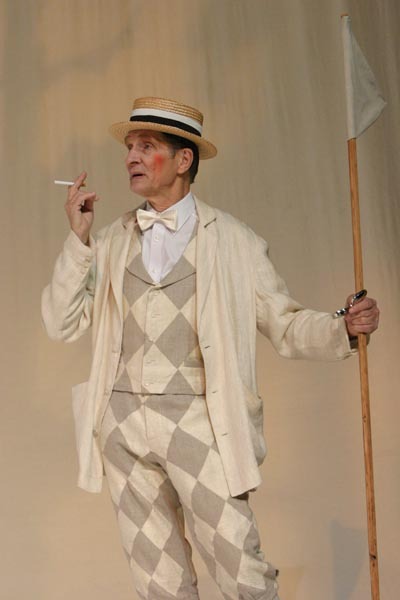 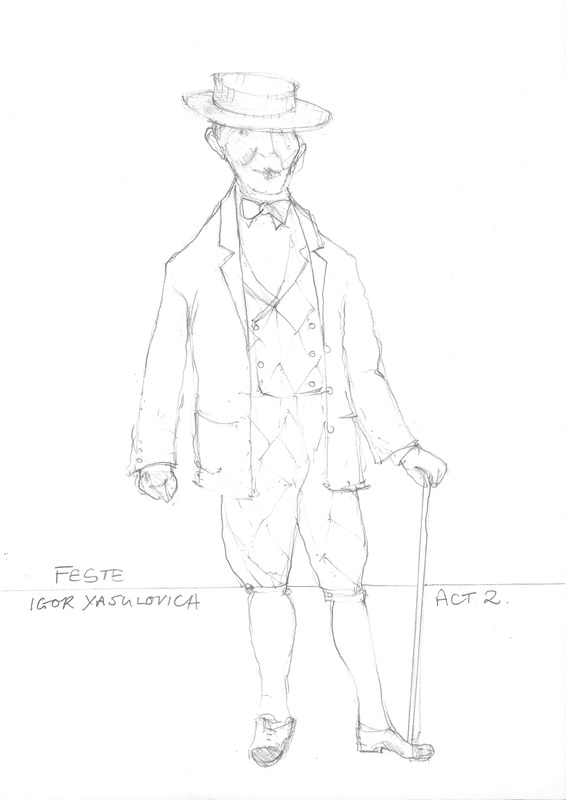 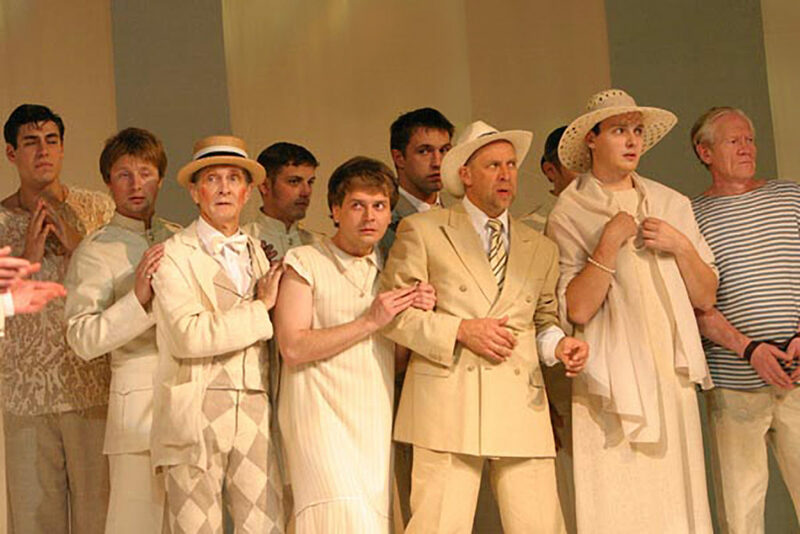 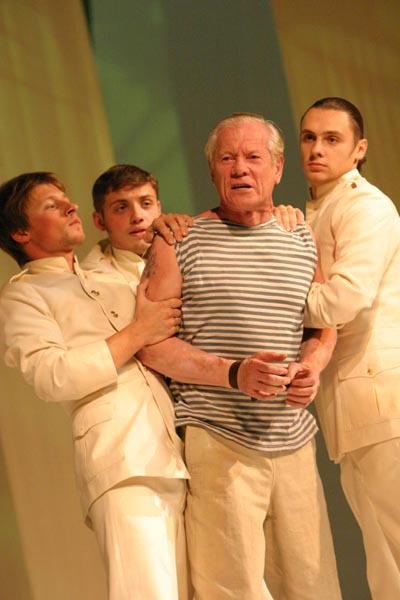 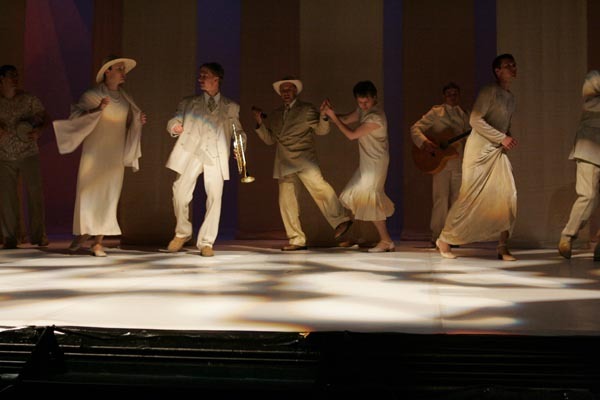 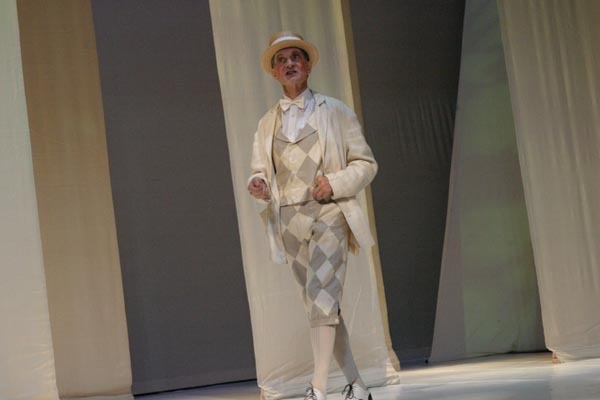 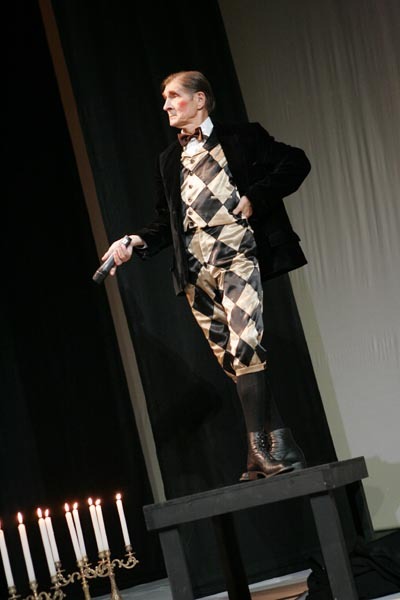 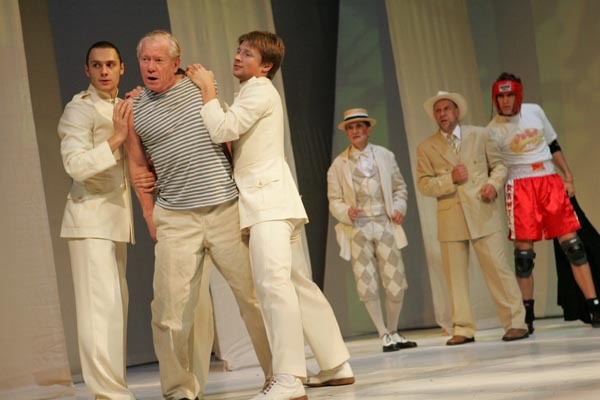 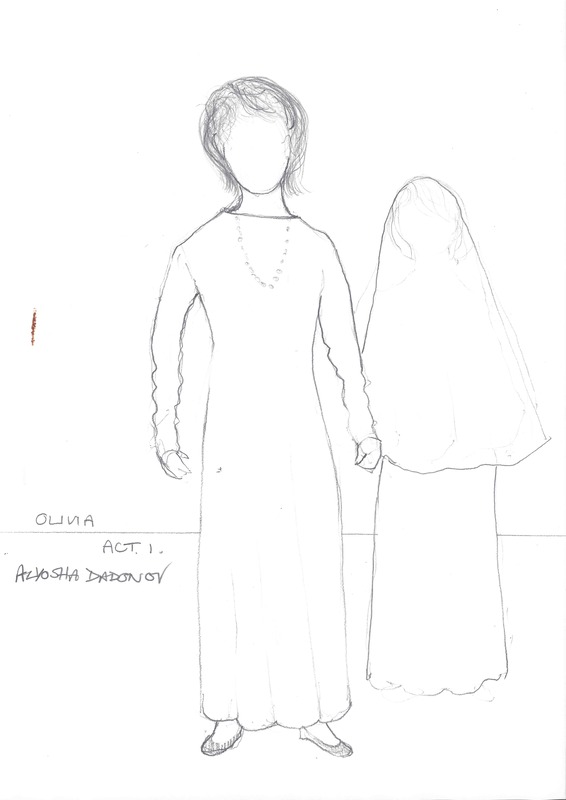 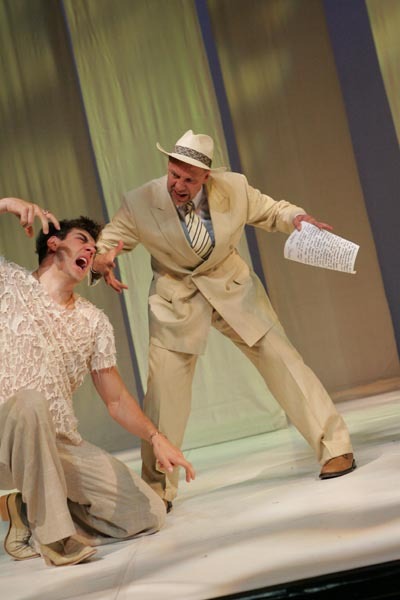 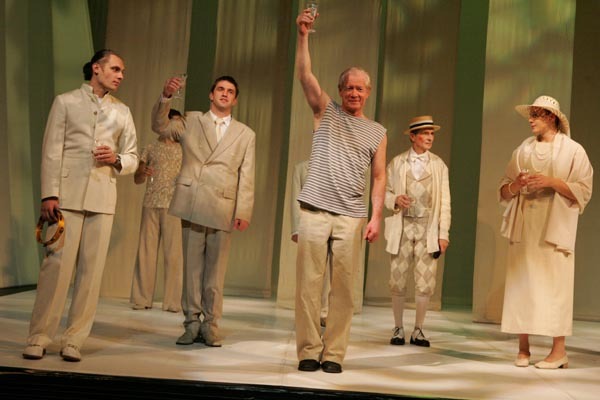 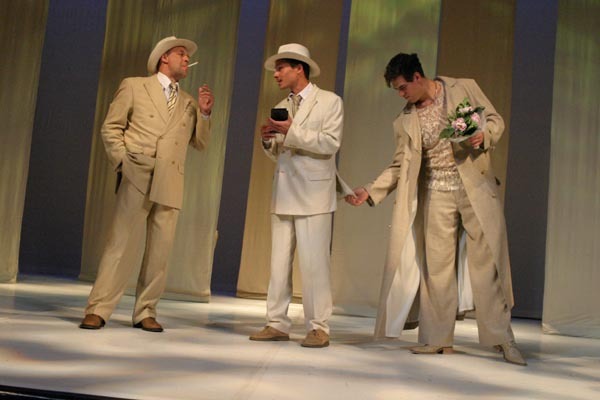 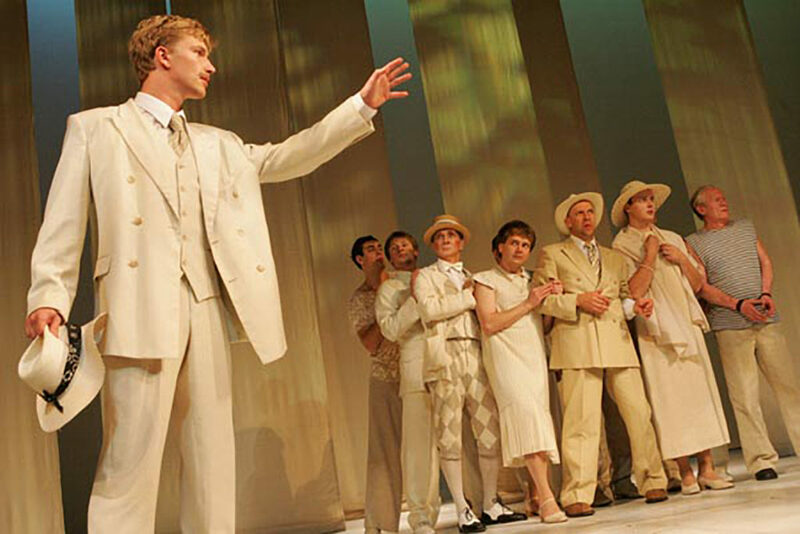 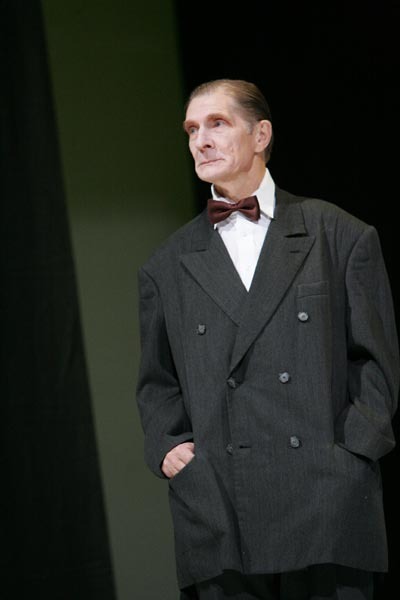 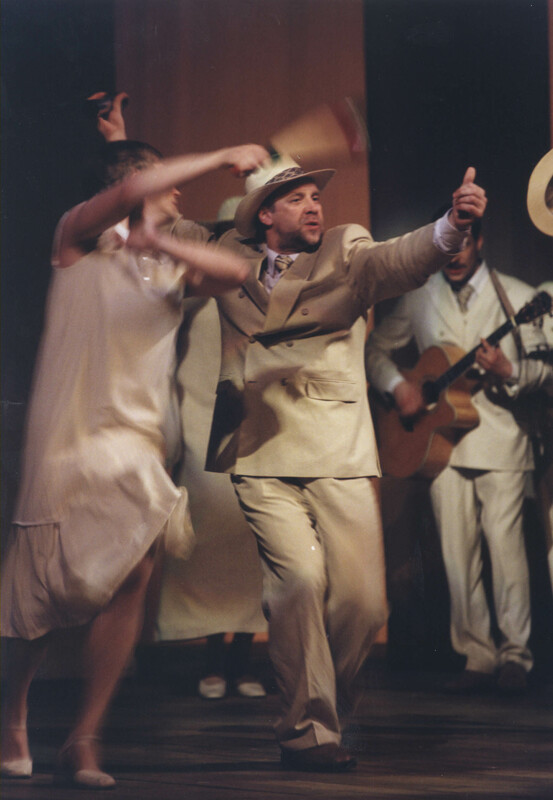 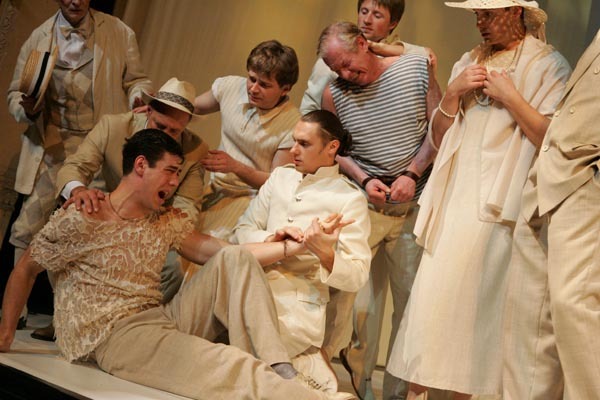 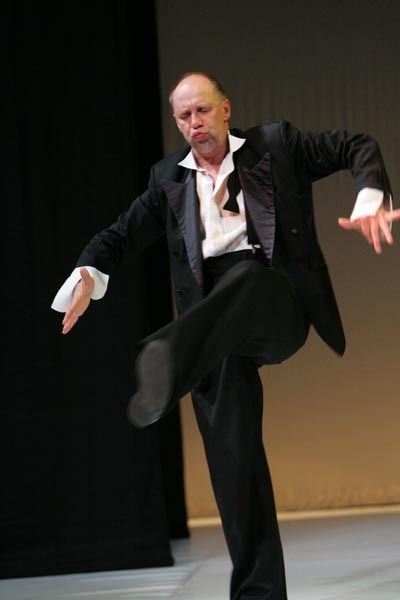 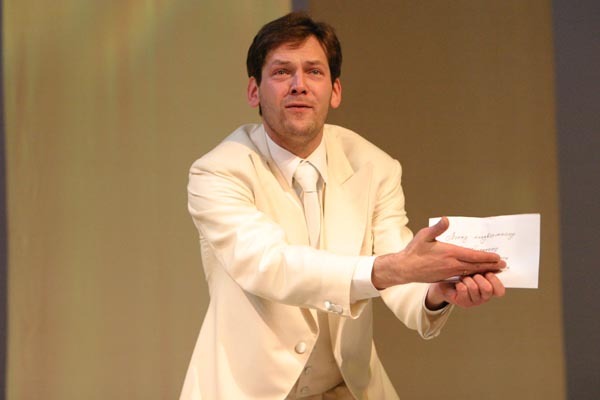 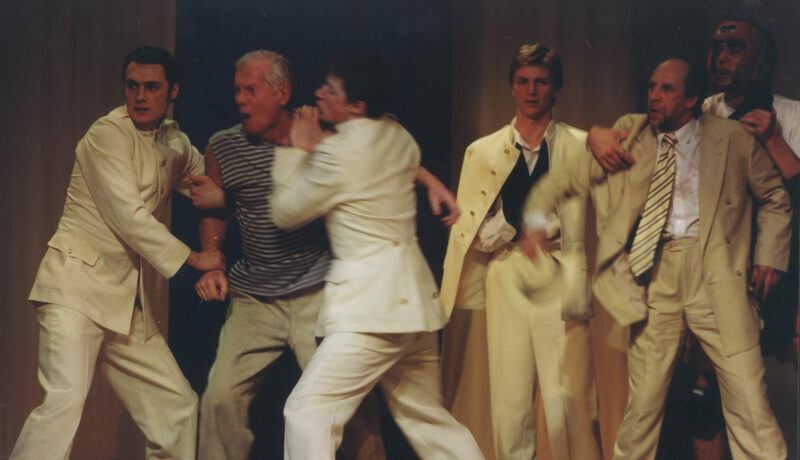 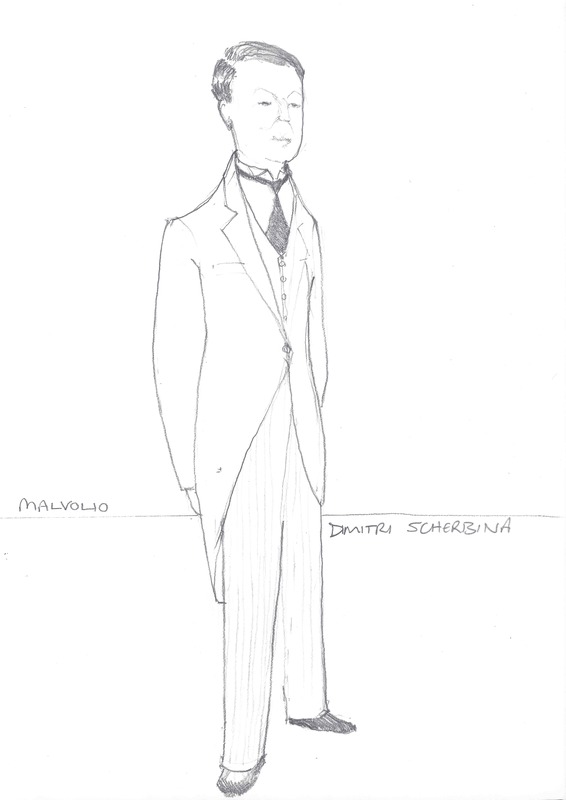 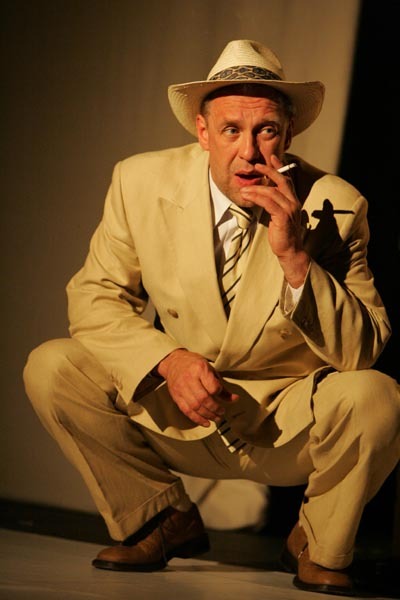 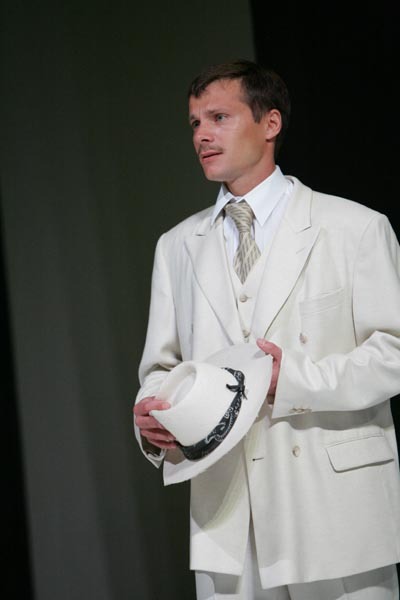 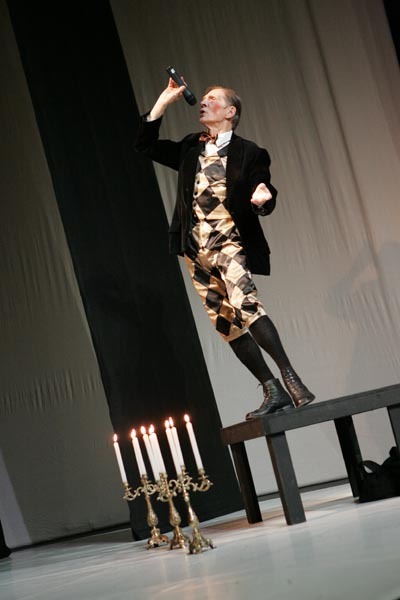 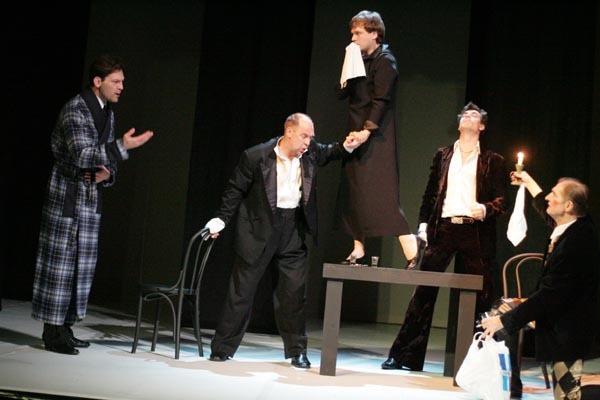 The first performance of Twelfth Night was at the Chekhov International Theatre Festival on 18th May 2003.